Today I made the mistake of walking through the handbag section of Selfridges in order to reach their wonderfully large magazine corner. Normally I'd be very contented purchasing a periodical but after spying the array of sholder/arm/hand candy, I instantly resolved to myself that I must find a sugar daddy, and immediately*. 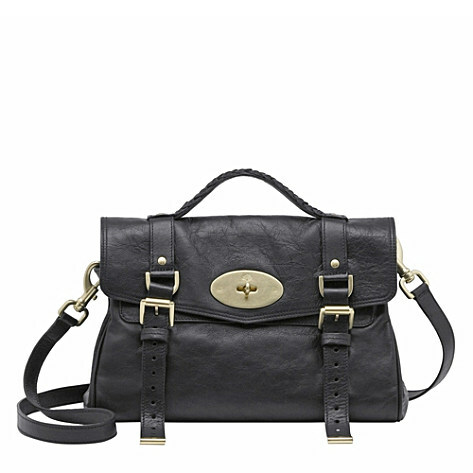 First up was the highly covetable Mulberry Alexa (above). I often can't help but look at the girls on my course lucky enough to own one of these babies with slight contempt spawned from the belly of my envy. Personally, I love the Alexa in a simple black - chic, goes with everything and easy to jazz up with a scarf or fox's tail - but if you're feeling peppy it is also available in a beautiful grape tone (see it here). Next up on the list of my bag stalking was the Alexander Wang Amber notebook Clutch (above). 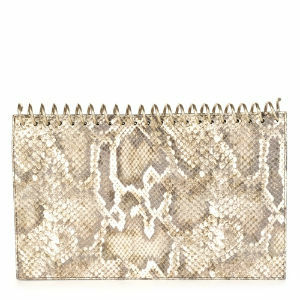 This one in snakeskin is particularly beautiful, and I love the idea of a bag inspired by a notebook - I often carry around very important bits of paper in my trust diary. In my head I see a city girl walking around central London with it under her arm, partying after a day at the office, a playful nod to the hours previous spent at work. 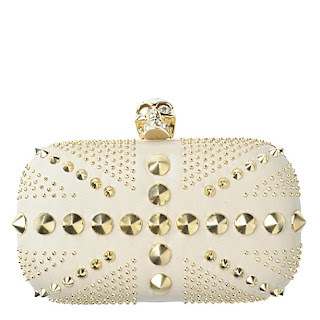 Although I didn't get to witness its beauty in the flesh (I probably would've made a dash for the doors with it hidden under my arm if I came within six feet of its gloriousness), this Alexander McQueen clutch (above) is a necessary mention. Its appearance begs little verbal backup - just look at it - but still, this stunning example of the McQueen brand would add just the right amount of edge to any night time outfit. 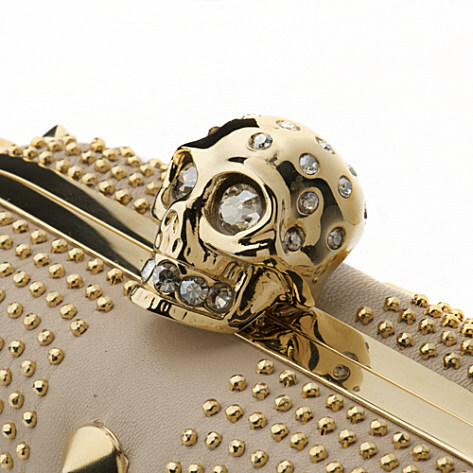 Bearing the skull ubiquitous to the McQueen label, this clutch would be the perfect purchase if you wanted a personal tribute to the late designer. So there we have it. Three of my current favourite bags. That's not to say this list is all I love (my God, if money was no object I'd have stacks of Lulu Guiness' and Chanel 2.55's laying everywhere). Like most girls, handbags are a fashion fetish of mine - accesories have the blissful ability to remove your worries about the current fat day you're having by being size free. And each of the ones listed above would be enough to make any girl feel a million dollars - even if her sugar daddy doesn't earn that much. *I'm kidding about the sugar daddy part. Although at times it does seem like a good idea.